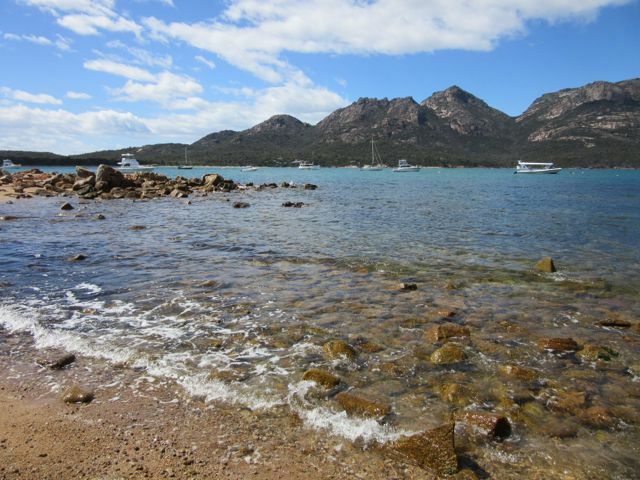 The seaside holiday village of Coles Bay sits beneath stunning, sheer pink granite mountains overlooking the calm, crystal clear water of Oyster Bay. 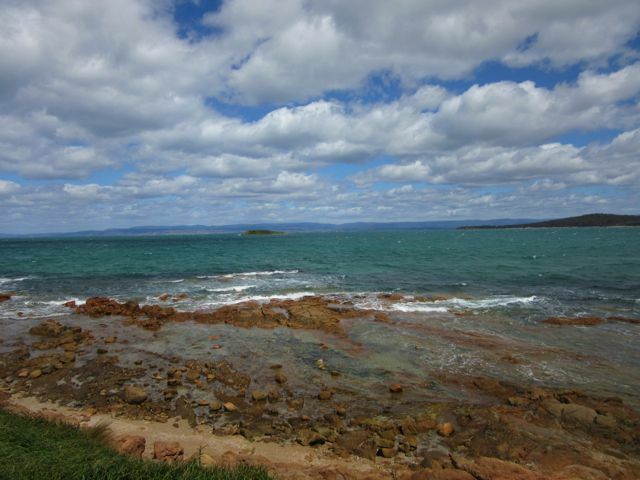 The beaches and crystal clear waters offer the ideal location for swimming, boating, kayaking and fishing. The scenery here is absolutely stunning. 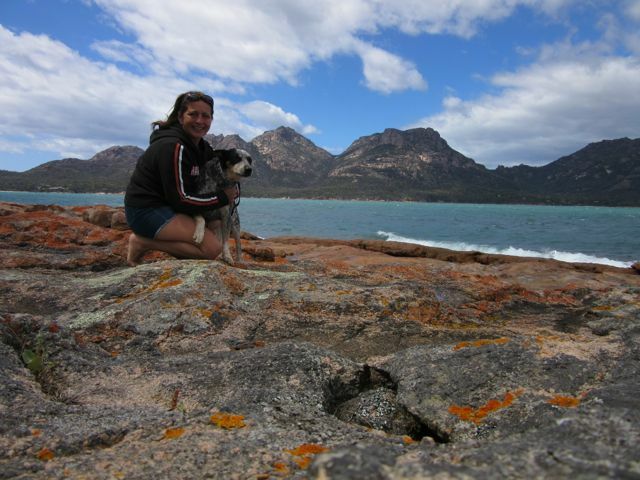 we were unable to go into the park as dogs are not allowed but it was still really pretty around the bay with the view of the Hazards. 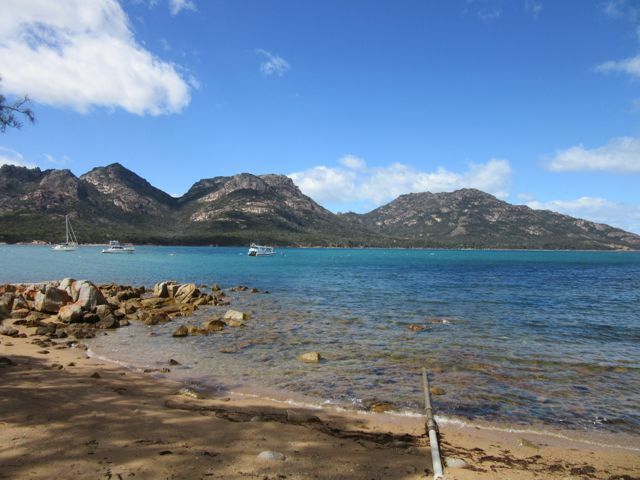 This pretty town is a great base to explore Freycinet National Park with its spectacular coastal scenery that includes famous Wineglass Bay, rated as one of the ten best beaches in the world. and there are lots of walks in the park. 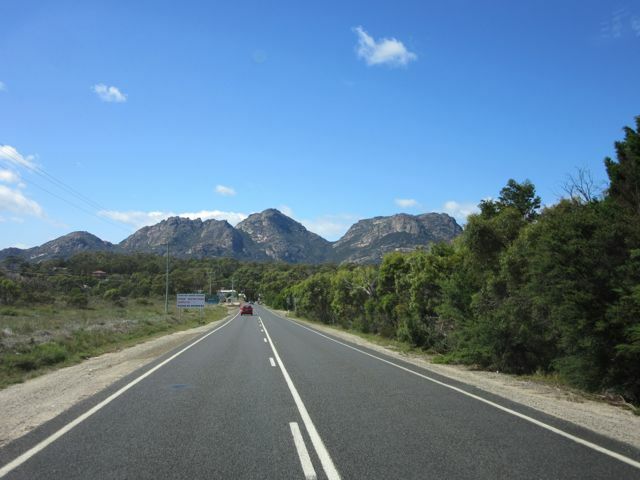 Coles Bay is a 2.5-hour drive (192 km) from Hobart and 2 hours twenty minutes (173 km) from Launceston.